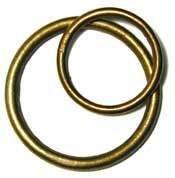 A polished brass ring , 1/4" wide x 3/4", suitable for slides on miser bags. Sterling silver or gold plate finish over brass. 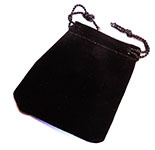 Available with a decorative edge (LC87) $8.00 or with a plain edge (LC88) $6.00 . Conical metal feet with prongs which easily attached to the bottom of bags by simply bending the prongs over. 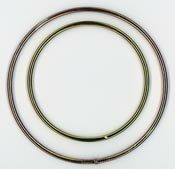 Avalable in 8mm (FF53) $2.00 10mm (FF54) $2.50 and 12mm (FF55) $3.00 size an both gold and silver finish. Designed for attachment of half-frame bamboo to bag. Threaded pin passes through hole on handle for simple assembly. Sold in sets of 4. 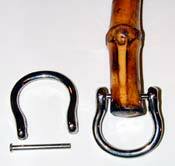 Available in 5/8" for 6" handles and 3/4" for 8" handles in silver or gold finish. 5/8" Gold (LV72) $5.00 , 5/8" Silver (LV73) $4.50 , 3/4" Silver (WH48) $4.00 , 3/4" Gold (WH49) $4.50 . Designed for attachment of half-frame bamboo to bag. Economical pinch style. Sold in sets of 4. 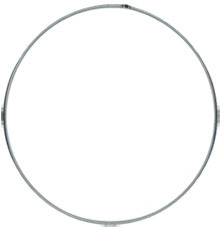 Available in nickel finish (WH50) $1.50 . 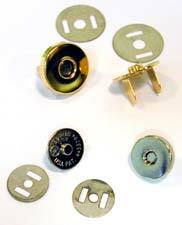 Purse snaps, available in polished brass or nickel finish. 3/8" (FF49) $2.00 , 1/2" (FF51) $2.00 and 3/4" (FF52) $2.50 . 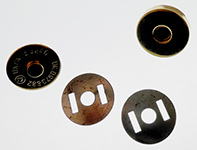 Includes matched mangets with integral mounting tabs and washers, sold in individual sets. 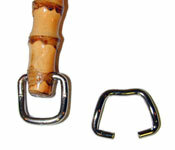 For rod connection of half-round bamboo or lucite handles to bag. 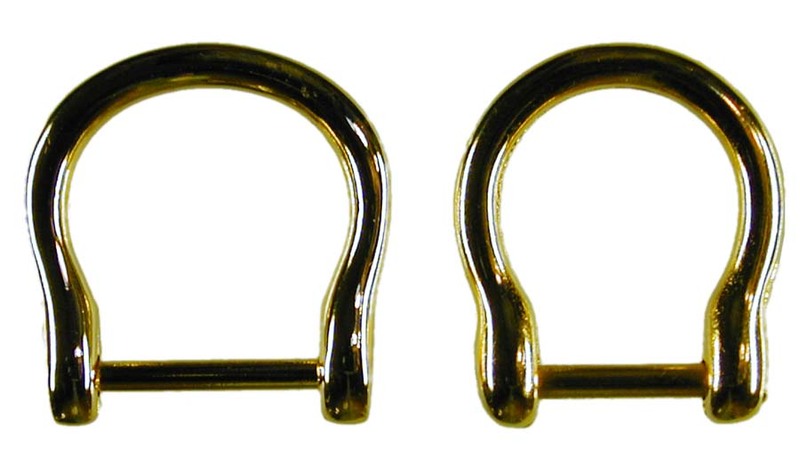 Consists of gold plated rod and 2-screw-on plated caps for ease of exchanging bags.Available for 8" (LV67) $2.50 , 6" (LV68) $2.00 and 5" (LV98) $64.00 handles.